We hadn't heard much about The Equalizer 2 since Denzel Washington and Antoine Fuqua began working on the sequel to 2014's hit action film. 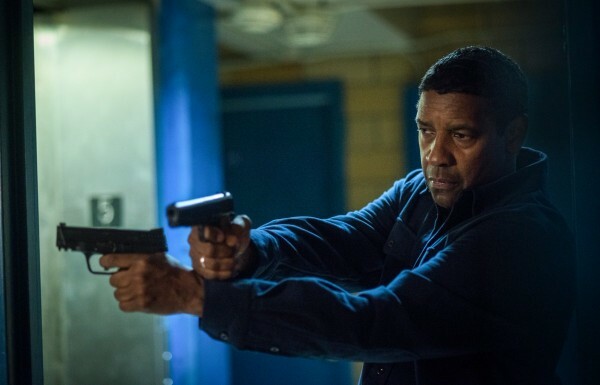 That all changes today with the release of the first trailer, which finds Denzel back beating people up to help others in need, but this time the scope has a larger, more international flavor like his own version of Taken. Marking Denzel and Fuqua's first ever sequel, itself kind of amazing, The Equalizer 2 once again centers on retired agent Robert McCall, who has become a hired gun for the powerless. The trailer begins with McCall taking his activities all the way to Turkey, where he's still doing that thing with the watch, clocking down the seconds it takes to dispatch his foes. But after that we see the on-screen death of an important character from the first movie, and McCall jumps into action to get the people responsible. If you don't want to have anything spoiled you might want to avoid this one. Also starring Melissa Leo, Pedro Pascal, Bill Pullman, Moonlight's Ashton Sanders, and Sakina Jaffrey, The Equalizer 2 opens July 20th.